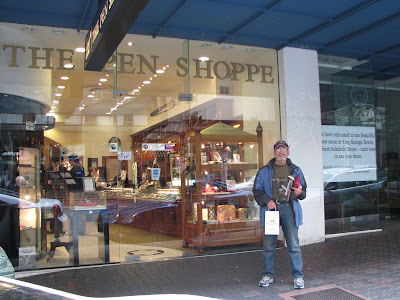 Here I am doing serious research for VPC in Brisbane, Australia. Yes I'm wearing a coat, because it's still winter there in August. I didn't buy much there because it's darned expensive, but it's interesting to see what they have and we don't. See you all at the September meeting and I'll show you what I did get.